Trust is the basis of any doctor-patient relationship. Now, you can use the reputation you’ve built to get even more people through the doors of your clinic. This is thanks to internet medical marketing, which uses positive reviews, quality content, and other tactics to make your site more visible on Google. When you search for something on Google, you’ll see the top ten medical marketing results on the first page. Almost nobody ever looks past the first page when searching on Google, so your medical marketing website needs to be among these results. How to extend your reach and grow your practice with new patients. How to maintain your current patient base by building customer loyalty and retention. How to get referrals and do upsells. A site attains high rankings by meeting the standards set forth by Google. The more Google likes your site, the higher it will rise in the search results page. Our job is to help your site meet or exceed these medical marketing standards. The goal is to get your medical practice on the first page of all the major search engines in a way that incorporates as many relevant keywords as possible. These efforts are regionally focused since the greatest benefit comes from getting patients that are near your clinic. When it comes to your site’s placement on Google, you need to remember that you’re competing against other medical marketing and medical offices in your area. This is why it’s essential for you to have a site that is relevant to your visitors. 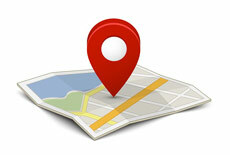 Local SEO marketing is the process by which this is accomplished. By posting content tailored to your audience and by building links to authoritative sites and directories, we can help your medical marketing website become more visible. Social Media Management can help you get the most out of the relationships that you’ve built with your patients. This might be done by using a Facebook profile or Twitter account to keep them informed about what’s going on at your clinic. They, in turn, can like your posts and follow you on Twitter. Each individual interaction on this level is known as a social signal. A site that gets a lot of social signals will have a competitive advantage when it comes to Google rankings. Networking also strengthens your relationship with your patients. Their comments can guide the direction of your clinic, enabling you to better serve the people who most need your help. Building up your social media presence is a big part of our online medical marketing efforts. We can also create a blog for your site. Regularly adding content to a site improves its position with Google, and a blog gives you an easy way to do just that. Your patients trust you with their health. When happy patients walk out of your clinic, they may talk about their experiences online. These good reviews will work to bring more people to your practice and promote your site. Google prefers sites that have good medical marketing reputations. There’s a dark side to this as well. Competitors, scammers, and others might write malicious reviews. Not only does this have the effect of scaring people away—it can also cause your site’s ratings to sink. The good news is that our medical marketing strategies include reputation management services. These work to complement your positive reviews and to reduce the impact of negative ones. Our team will monitor your patient reviews on all major directories and sites on a daily basis. Addressing bad reviews can help improve your reputation, and also shows potential patients that you responded to the matter in a timely fashion. Doing so can be an effective way of proving your dedication to patient health and happiness. In this way, your reputation can continue to improve. More and more websites are using Pay Per Click (PPC) management to boost their online medical marketing efforts. There are basically two types of rankings: organic and paid. Organic consists of the content on your site, as well as reviews for the same. Paid rankings take the form of advertisements that are tailored to the user. These are the ads that you often see at the top of a Google search. PPC advertisements can also be used on social media. Now that nearly everyone uses services like Facebook and Twitter, it’s essential to advertise on these and other networks. Doing so works to bring your medical marketing services to the attention of a larger community. A lot of research has gone into the science of advertising. The results show that the best ads are those that address the interests of their intended audiences. We understand this, and will incorporate the information into our PPC marketing campaigns. You’ve worked hard to establish your clinic and keep the community healthy. Internet medical marketing can spread the word of your efforts. At HeyGoTo Marketing, we’ll use a variety of approaches to help your site obtain the visibility it deserves.